The Norway lobster is the most valuable invertebrate species in Europe. In 2011, 56,541 mt of Norway lobster were caught in the northeast Atlantic Ocean. Norway lobster is rarely imported into North America, but is consumed in the UK and other parts of Europe. Several populations of Norway lobster are found in the northeast Atlantic Ocean. There are many uncertainties regarding fishing levels and abundance in several areas, although it is known that stocks in Spain and Portugal are depleted. Overfishing is not occurring in Kattegat Bay/Skagerrak, and overfishing is occurring in the North Sea, Celtic Seas, and West Scotland. Norway lobsters are managed by the European Commission (EC) as well as the individual countries. Stock assessments are performed by the International Council for the Exploration of the Seas (ICES). Although quotas exist in all fishing regions, fishing pressure is too high in Spain and Portugal to allow recovery of the populations. Norway lobsters are fished using traps, which are typically a highly selective method of fishing with low bycatch levels. However, high amounts of bait fish are used in the traps. As an immobile gear type, traps usually cause minimal habitat damage. Both the California spiny lobster (Panulirus interruptus) and Caribbean spiny lobster (Panulirus argus) are caught in Mexico. Landings have been relatively consistent in the past recent years. Approximately 2% of all spiny lobster imported into the United States is from Mexico. Spiny lobsters have life history characteristics that give them an inherent moderate resilience against fishing pressure. These include a high fecundity, quick time to maturity, and long lifespan. Despite a lack of stock assessments, stable landings suggest that the population of California spiny lobsters is healthy, and that of the Caribbean spiny lobsters is moderately healthy. The spiny lobster fishery in Mexico is moderately well-managed. There are regulations controlling size limits, gear restrictions, fishing zones and area closures. Casitas cause very little bycatch since lobsters are free to move about the shelters, and are hand-harvested by divers. Stone crabs are sometimes incidentally caught for domestic consumption. Bycatch rates for traps are 8-15% although species that are caught can be returned to the wild unharmed. Traps have the potential to damage the habitat as they make contact with the ocean floor. However, protected areas exist under the UNESCO Biosphere Reserve Programme. The habitat remains moderately well-preserved as a result. Landings of the California red spiny lobster have remained stable at around 340mt per year for the last 10 years. 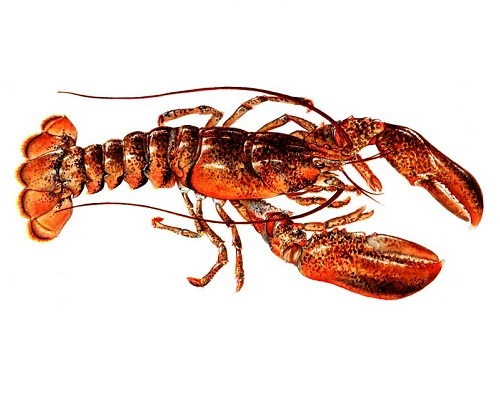 Value of the lobster has been increasing, and in 2010 was worth $11.13 million. Most of the lobsters are exported live to Asia. Despite a long life span, California spiny lobsters mature quickly, and produce large amounts of offspring. Stock assessments are not regularly performed, and there are some uncertainties regarding fishing mortality due to the recreational fishery, but based on landings, population status appears to be healthy. The California red spiny lobster fishery is moderately well-managed. There are regulations controlling size limits, egg-bearing females, gear restrictions, fishing zones and area closures. Compliance with these regulations is high, as management is enforced. Management could improve regarding research and stock assessments. Although the amount of bycatch caught ranges from 8-15%, no species of concern have been observed to be caught, and since traps are used, they can usually be released live. Traps have the potential to damage the habitat as they make contact with the ocean floor. However, there are many established marine protected areas where traps are not used, thereby protecting the surrounding ecosystem. The Caribbean spiny lobster has a wide geographical range, and landings of the species are highly variable. In 1950, an all-time low of 3000t was captured, and in 1995, a peak of 42,000t was captured. Annual landings in the Bahamas have remained relatively constant over time at around 7000t. Despite regulations concerning fishing gear, area closures and minimum sizes, management is ineffective. Data is lacking on population status, and enforcement of regulations is challenging, as illegal, unreported and unregulated fishing still occurs. There is little data regarding population status as stock assessments are rarely performed. However, it is thought that the population in the Bahamas is healthy. No species of concern are caught by the Caribbean spiny lobster fishery. Additionally, since casitas and traps are used, the little bycatch that is caught can be released live. Stone crabs are occasionally caught incidentally. Casitas and traps have the potential to damage the habitat as they make contact with the sea floor. Landings of Caribbean spiny lobster have historically been variable, but stabilized in the past 10 years. All Caribbean spiny lobster landed within the US has been from Florida in these past few years, although the US also imports spiny lobster from several Caribbean countries, Central, and South America. Spiny lobsters have life history characteristics that give them an inherent moderate resilience against fishing pressure. These include a high fecundity, quick time to maturity, and long lifespan. Despite two relatively recent stock assessments, stock status and fishing mortality are unknown because the species is widely distributed, and its population status in Florida is affected by, and depends on the population status of Caribbean spiny lobsters found elsewhere. The spiny lobster fishery in Florida is moderately well-managed. There are regulations controlling size limits, gear restrictions, fishing zones and area closures. Regulations are enforced; however, there are some concerns with the unreliability of the stock assessments. Bycatch rates for traps are 8-15% although species that are caught can be returned to the wild unharmed. In the Florida fishery, undersized lobsters are sometimes used as bait, and may experience mortality rates of up to 10% as a result. A network of protected areas exists to preserve Acropora coral. In legal fishing zones, traps have the potential to moderately damage the habitat as they make contact with the ocean floor. North and West Cotentin (Basse Normandie, France), Jersey and Granville Bay. American lobster on Canada’s Atlantic coast have been increasing since the 1970s, and over 50% increase since 2009. In 2016 landings were 90,000 t, with the highest proportion (55%) from Nova Scotia, compared to 58,000 t in 2009. Much of the catch is exported – in 2015, Canada exported 82,700 t of 90,000 t landed, worth over CAD$2 billion, making it the country’s most valuable seafood product. Around 78% of exports are destined for the USA, followed by Asia and the EU. Lobster caught by pots are Not Recommended, primarily due to impacts on other species. There is high concern over Atlantic herring and Atlantic mackerel used as bait, and risks of entanglement to both North Atlantic right whales and humpback whales. Herring bait comes from a variety of sources, the stock status of which are generally either unknown or declining, and fishing mortality is considered a high concern. Mackerel stock biomass is determined to be in a critical state, and as almost half fished is used in the lobster fishery, mortality is also considered a high concern. North Atlantic Right Whales have a declining population and are considered endangered, with less than 500 individuals alive and entanglement is considered a significant risk, with incidents currently above a sustainable level. Humpback whales are also highly vulnerable and stocks are a high concern, with a high degree of uncertainty and risk regarding interactions. Lobster stocks themselves are considered either healthy and a low concern, or data limited and a moderate concern, depending on the region, with mortality also a moderate concern due to the lack of reference points. There are a mixture of conservation measures in place to protect the stocks, but more precaution is needed, and thus management is considered moderately effective. There are no significant seafloor impacts, and some measures are in place to protect the ecosystem. 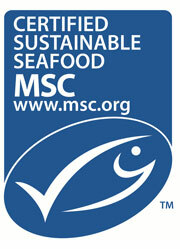 This recommendation does not include the MSC-certified Eastern Canada Offshore fishery (LFA 41). This area is covered separately here and is not recommended by Ocean Wise. All other Canadian MSC lobster fisheries are covered by this assessment and there are no Ocean Wise recommended lobster fisheries in Atlantic Canada. Bottom trawls are an unselective method of fishing and some species of concern such as Atlantic cod, European hake, and whiting are caught as bycatch. In some trawl regions, the amount of bycatch discarded surpasses the amount of lobster that is caught and retained. Bottom trawls are dragged across the seabed and have the potential to cause permanent damage. Although bottom trawls targeting Norway lobsters are operated primarily over muddy bottoms which can recover more quickly than other substrates, recovery is hindered if trawling occurs more than twice a year. The Caribbean spiny lobster has a wide geographical range, and landings of the species are highly variable. In 1950, an all-time low of 3000t was captured, and in 1995, a peak of 42,000t was captured. Annual landings in Brazil have remained relatively constant at around 7000t, but have recently decreased sharply. Landings in Belize have been stable around 600t, and landings in Honduras and Nicaragua have decreased. The Caribbean spiny lobster has life history characteristics that make it moderately resilient against fishing pressure. These include a high fecundity, quick maturity, and long lifespan. There is little data regarding population status as stock assessments are rarely performed. However, it is thought that the populations in Belize, Brazil, Honduras and Nicaragua are overfished. Despite regulations concerning fishing gear, area closures and minimum sizes, management is ineffective. Data is lacking on population status, and enforcement of regulations is challenging, as illegal, unreported and unregulated fishing still occurs. No species of concern are caught by the Caribbean spiny lobster fishery. Additionally, since traps are used, the little bycatch that is caught can be released live. Traps have the potential to damage the habitat as they make contact with the sea floor. Spiny lobsters are caught throughout the Caribbean and along the central South American coastlines. Of all producing countries, Nicaragua produces the second highest catch, with 6,500 t in 2016. Brazil and Honduras produced almost as much, with 6,100 t each, while the US (Florida) produced 2,350 t and Belize 775 t. There is a lack of species-specific information on quantities and value imported into the US, however, the primary contributors of spiny lobster imports are the Bahamas, Honduras, Brazil and Nicaragua. Spiny lobster caught by pots and divers in Belize, Brazil, Honduras and Nicaragua are not recommended due to high concern for the target species and species caught as bycatch. In Florida, caught by pots, it is due to moderate scores across all criteria. In Belize, Brazil, Honduras and Nicaragua, stocks are considered fully exploited and in some cases undergoing overfishing with stocks in Brazil in a critical state. The rate of mortality in each region is also a high concern and above reference points where they exist. In Florida, a lack of information means stock status and mortality is uncertain. Bycatch from both capture types includes species of high concern in each of the Latin/South American countries, including snappers and groupers. In Flordia, pots pose moderate entanglement risks to bottlenose dolphins and capture a few other species. In Brazil, Honduras and Nicaragua managmenet effectiveness is rated either ineffective due to overfishing, a lack of monitoring, and the high likelihood of illegal fishing, though improvements have been noted in Honduras and Nicaragua. In Belize, Brazil and Florida, management is rated moderately effective as a result of conservation measures in place, though effectiveness is unknown. In all countries, divers have minimal impact on the seafloor, but pots are set on or close to coral reefs and likely have a habitat impacts. Ecosystem impacts of the fisheries are unknown. The MSC-certified Eastern Canada Offshore Lobster fishery was the subject of official complaint by the Ecology Action Centre in January 2019 due to a conviction over a ‘gross violation’ of legal fishing practices. In line with our policy to recommend Canadian MSC-certified fisheries, except where objections have been filed by stakeholders, this fishery is no longer recommended by Ocean Wise.